Today Apple announced the availability of an 8GB iPhone 5c. The flavor is already available for purchase and costs €549 – just €50 less than its 16GB sibling. This is quite unattractive pricing considering the phone comes with year and a half old hardware and still costs good €100 more than the 32GB Samsung Galaxy Note 3. Anyway, we are not the only one to dislike the Apple’s overpriced gadget. Finnish manufacturer Nokia grabbed the opportunity and used it to make fun of the 8GB iPhone 5c over Twitter. 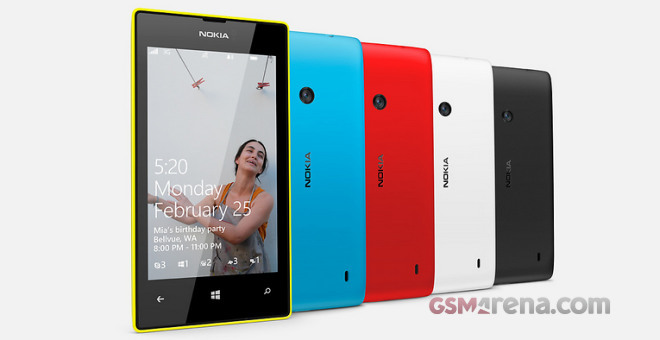 The colorful Lumia 520 was announced back in February 2013. It is the bestselling Windows Phone-running device to date and currently costs under €100. So, what would you do if you had to choose between those two? Get an 8GB iPhone 5c or get 5 Lumia 520′s?